10 Series Hidden 45° Corner Connector Assembly, Inside-to-Inside, TNUTZ Part #HC-010-B. 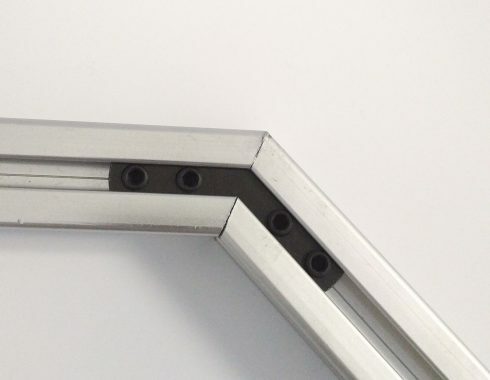 These Hidden Corners assemblies will fit 10 Series / Slot 6 extrusions. These connectors are unique to TNUTZ! A great way to make a 45° joint with 10 Series extrusions! They will fit 10 Series or 6mm slot T-Slotted Extrusions. The connector requires two extrusions to be miter-cut at 22.5°. Please contact us for that machining option if required. 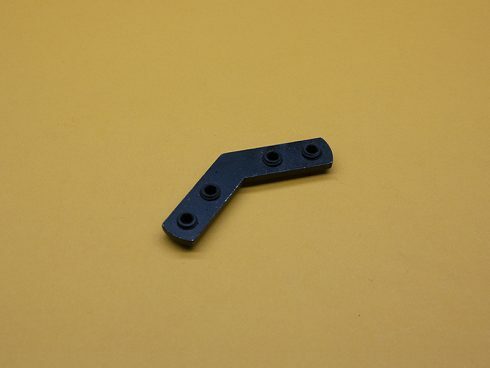 These fasteners allow for hidden 45° corner connections without any machining, and come assembled with (4) 1/4-20 set-screws.